I am dedicated to ensuring my clients are happy with their property purchases and sales. It’s not the transactions alone but rather the entire process, from beginning to end, where clients feel comfortable, have questions answered, have any concerns addressed, receive professional service from me and are treated with respect. "We worked with Effie to purchase a new home in Parkview Hills, Toronto and to sell our home in North Riverdale 3 weeks later. The entire buying and selling process went extremely well, in large part due to Effie's many years of real estate experience in the Toronto marketplace as well as her impeccable focus on customer service and responsiveness. Effie acted as both the buying and selling agent on our new Parkview Hills home. Her professionalism and high ethical standards gave us full confidence that she was acting with full integrity throughout the entire process. Then, as our selling agent on our North Riverdale home, she conducted a comprehensive market review and presented us with a pricing rationale that we were assured would result in the top price the market would pay for our home. As it turns out, Effie priced our home perfectly - not surprising given her attention to every detail. Between the two of us, we have bought and sold several homes and worked with 4 other agents in Toronto and the Niagara Region. By far, Effie is the best agent we have worked with and we highly recommend her to any buyer or seller. We would be happy to talk directly to any buyer or seller who is considering working with Effie in the future." "From the very beginning, even before knowing when we would have to sell our home, we had a strong feeling that Effie would be the best person for the task. . . When the time came, we contacted Effie and from our past dealings with previous agents, it was clear to us that there was no comparison, and that Effie would be our agent. Effie is highly professional, punctual, reliable and she certainly has an eye for decorating and organizing houses to promote the best return for the sale of your biggest investment, your home. For many other reasons then the ones mentioned above we can strongly recommend Effie Panagiotopoulos as a realtor without hesitation. Thank you so much Effie for all that you've done for us!" "If we ever choose to sell our house we will be in touch with you Effie. We were very pleased with the job you did for us and would never hesitate to refer you to both friends and family." "Effie Panagiotopoulos helped us find our home and we are writing to recommend her to others. She knows the streets in East York very well and is conscious of the neighbourhood character of each street, she is knowledgeable about community and retail services available, the proximity of schools and street safety. . . She was an excellent negotiator and represented our family well." "We would like to thank you for your help with the purchase of our home. Without your help, I don't know where I would be today. . . You made it so easy for us and we really appreciate all your help and expertise. We were under a lot of stress at the time and with your calm and experienced approach, we were able to make a purchase easily." 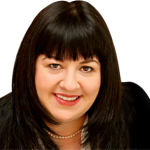 "I am pleased to recommend Effie Panagiotopoulos as a real estate agent. We chose Effie as our agent as she is reputed for her integrity and is especially knowledgeable about our area. Effie is very professional. She returns all calls promptly, always providing the information required. She produced excellent marketing materials for our home. She is also warm and a pleasure to deal with. Our house sold in three days, significantly over asking. . . Effie definitely exceeded our service expectations." "I would like to take this opportunity to thank you for the exceptional service that you provided during the sale of my mother's home. . .During the sales process, you time and time again proved yourself to be more than a realtor, you were a true friend. . . You were thoughtful and thorough and it was clear to us that you had a great pulse of the market. Effie, as you know I have referred to you in the past and I will continue to refer people to you in years to come." "I would like to THANK YOU very much for your commitment, dedication, and efforts in helping me find the right home. Also, I really appreciate your responsiveness and flexibility which are two key elements of Customer Satisfaction. The process of finding and purchasing the right home can be stressful and difficult as it's a huge investment but you made it easier for me. . .I will be recommending your services to others." "Effie Panagiotopoulos acted as our real estate agent in our search for a loft in downtown Toronto. . . Throughout the process, Effie was very patient and understanding, which was especially important to us as first time buyers. She listened carefully to what we were looking for and showed us only places that fit that description. She was also very respectful of our budget. . . We recommend Effie highly! She does a great job and is friendly and nice to work with." S. M. & E. Y.